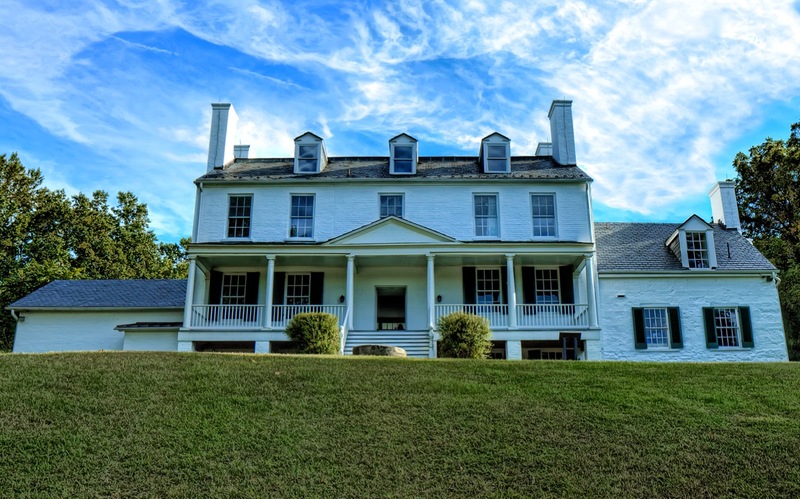 Maryland Association of Historic District Commissions and Charles County Historic Preservation Commission invite you to a Social Hour at one of Southern Maryland’s most significant antebellum houses. All Maryland historic preservation commissioners, their local government staff, and our preservation friends are welcome to join us for this informal afternoon of networking and learning at Chapman State Park along the banks of the Potomac River. Admission is free of charge for Maryland commissioners and staff. The Mt. Aventine manor house, including its viewshed, was placed on the National Register of Historic Places in 1996. The State purchased the property from a developer in 1998 and with the support of the Friends of Chapman Park, has preserved the property for public use. Friends of Chapman Park, with the Maryland Heritage Area Authority and the Charles County Commissioners, recently commissioned an architectural survey of the house to guide their renovation efforts. The study results suggest the original portion of the house was built sometime between 1810 and 1815, and the owners expanded it over time.